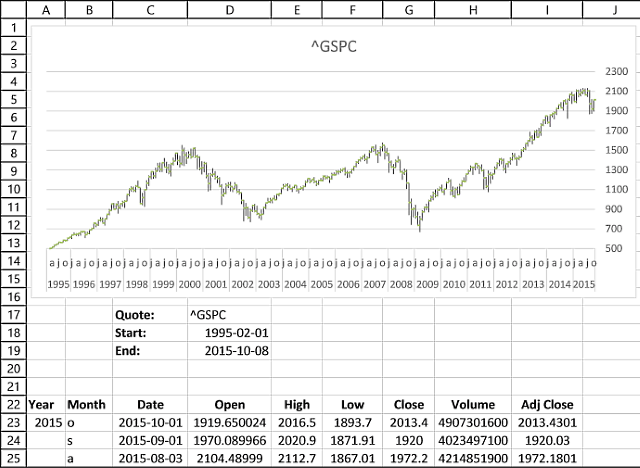 This stock chart in excel allows you to change the date range and the chart is instantly refreshed. 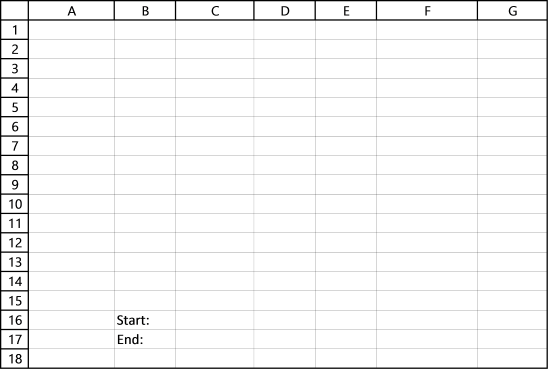 Here is how to build this chart. I entered "Start:" and "End:" in cell range B16:B17. 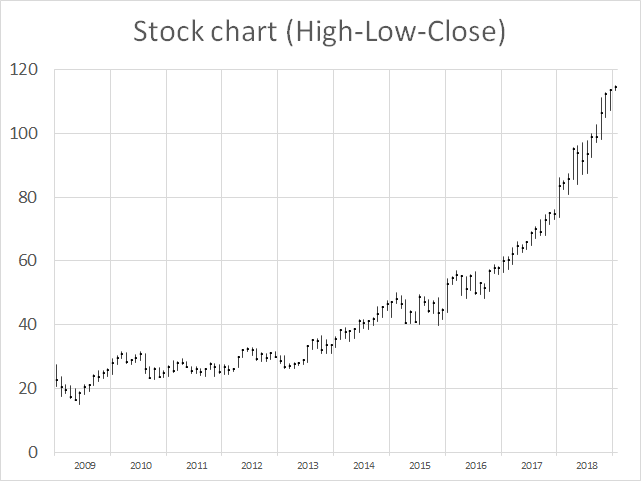 I found stock price data at the yahoo finance website, here is a link to S&P 500 historical prices. The data starts from the 1950's but I can't show all data, for obvious reasons. 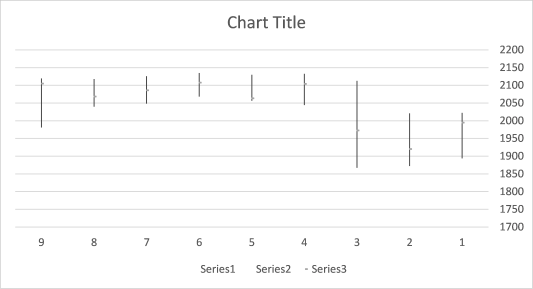 We want the chart to change depending on the start and end date in cell range B16:B17. "Named ranges" is what we are looking for, it can return a cell range of variable size. You have now created 4 different named ranges which are to be used in the stock chart. You can find a formula explanation later in this post. But first, lets insert a stock chart above the date range. Select cell range C21:E29, column C:E contain high, low and close values. The values are in an incorrect order, they need to be reversed. Enable option "Categories in reverse order"
It is now time to use the dynamic named ranges we created earlier. They help us quickly change the cell range we want to be shown in the chart. and returns 2. Read more about MATCH function. and returns cell ref A22. Read more about INDEX function. and returns cell ref A151. 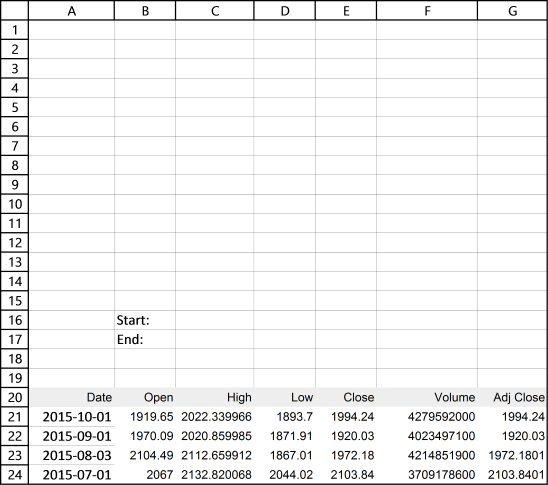 This user defined function allows you to fetch past data for any quote on yahoo finance. You don't have to go to the yahoo finance website and copy/paste the data, this udf does it for you automatically. Just type the stock quote in cell D17 and press enter. See picture below. 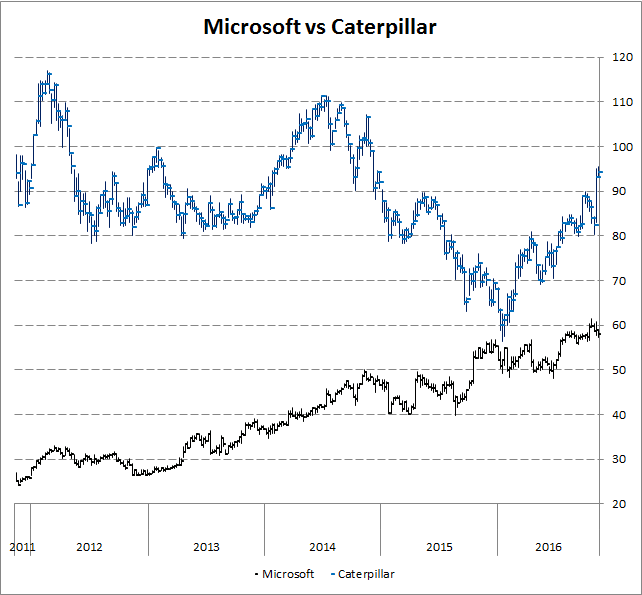 If you are looking for a particular company, index or commodity go to yahoo finance and use their "Quote lookup" to find the quote you are looking for. 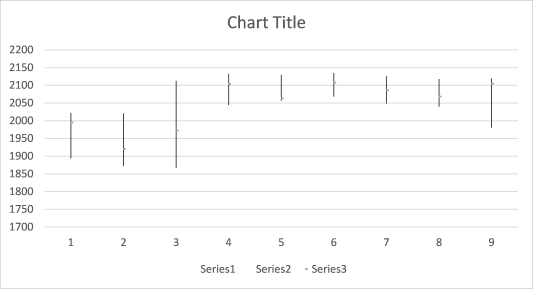 Yes, you still need to manually adjust the y axis values on chart every time you change the date range or stock quote, unless you check out this post. the tables are structured by functions such as "indirect" why the references for me to assemble each table are months of the year, meaning every table has the name of one month of the year. and I need to filter through dates that are on each table, ex? 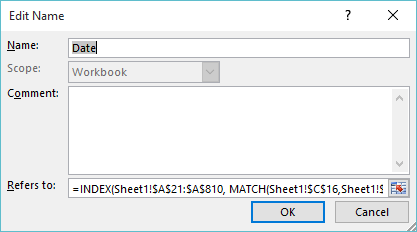 Each table is in a different folder within the same spreadsheet.